The doctor’s office can be intimidating for someone unsure of what to expect. 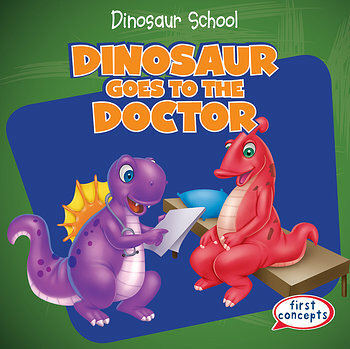 In this book, the dinosaurs know that a trip to the doctor’s office can be fun. Whether just visiting for a checkup or to get better after an illness, the doctor only wants to help little dinos get back to full health! Getting weighed, tapping on knees, and important questions from the doctor are all part of the journey in this exciting book for beginning readers that turns a scary situation into something fun.